Looking for Outdoor Pools in Tennessee? Many of them belong to gyms or sport centers which also provide lessons. Water sports are increasing specifically in elderly population sectors who've suffered some type of muscle or bone damage. Not all countries would be the identical, and swimming regulations and rules are changing from one country to another. Please have a look to the Pools swimmers like you have reported. Is your pool not listed? Contact us to ADD IT. It's totally free! Are you on holiday and wish to preserve fit and healthy? 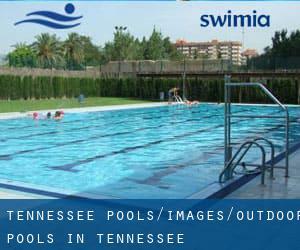 Swimia.com provides you the very easy and quickest way to acquire pool near Tennessee. We currently have the following Outdoor Pools in Tennessee, but we are often grateful for any corrections or contributions. Get in touch by way of our contact form. Let us tell you a secret to switch off although you are in Knoxville: just choose a Pool in Knoxville and plunge into the water! There's no alot more efficient method. Holding an estimated population of 646.889, Memphis is one of the most important cities in Tennessee. Check all the Pool in Memphis and its surrounding region. Without a shadow of a doubt, swimming in Nashville-Davidson (balance) will be the very best way to unwind after work. Take a couple of minutes to browse Swimia's catalog to find a Swimming Pool in Nashville-Davidson (balance). 1790 Hamill Rd. , Hixson , TN , USA (Postal Code: 37343). Swimmers like you reported 25 meters, 4 lanes, Outdoors. Unfortunately we do not have the email address of this Pool, but we can provide you with the phone number. Updated on 2019 2106 Andy Holt , Knoxville , TN , USA (Postal Code: 37996). Few days ago a regular user of this center told us they offer Olympic size x 25 yards, 10 x 22 lanes, Indoors. Furthermore, they keep in good conditions Olympic size x 25 yards, 10 x 22 lanes, Outdoors. Updated on 2019 4041 Hillsboro Circle , Nashville , TN , USA (Postal Code: 37215). This sports center delivers 25 yards, 7 lanes, Indoor/Outdoor. For this Swimming Pool, only phone number is number here. 939 Ridge Lake Blvd. , Memphis , TN , USA (Postal Code: 38120). This sports center delivers 18 yards x 15 feet (approximately), Outdoors. For this Swimming Pool, only phone number is number here. Updated on 2019 6148 Lee Highway , Chattanooga , TN , USA (Postal Code: 37421). Among all of the activities offered by the center, if you're considering swimming you'll take pleasure in 25 yards, 6 lanes, Outdoors. Just in case you want to make contact with this Swimming Pool before dropping by, we only know the phone number. 4727 Elvis Presley Blvd. , Memphis , TN , USA (Postal Code: 38116). Among all the activities supplied by the center, if you are considering swimming you will appreciate 25 yards, 5 lanes, 3 feet - 10 feet depth, Indoor/Outdoor. Just in case you would like to make contact with this Swimming Pool before dropping by, we only know the phone number. 7609 Maynardville Pike , Halls Crossroads , Knoxville , TN , USA (Postal Code: 37938). Among all the activities offered by the center, in case you are interested in swimming you will take pleasure in 25 yards x 42 feet, 6 lanes, Indoor/Outdoor. Just in case you would like to get in touch with this Swimming Pool before dropping by, we only know the phone number. 7950 Club Center Cove , Cordova , TN , USA (Postal Code: 38018). Among all the activities provided by the center, in case you are considering swimming you will enjoy 25 meters, 4 lanes, Indoor/Outdoor. Just in case you would like to contact this Pool before dropping by, we only know the phone number. 5219 Rustic Way , Old Hickory , TN , USA (Postal Code: 37137). Swimmers like you reported 25 meters, 6 lanes, Indoor/Outdoor. Phone number and e-mail address are number for this Swimming Pool. 5885 Quince Rd. , Memphis , TN , USA (Postal Code: 38119). Swimmers like you reported 25 yards x 24 yards, 8 lanes, Indoor/Outdoor. Unfortunately we do not have the e-mail address of this Swimming Pool, but we can provide you with the phone number. 11 Vaughns Gap Rd. , Nashville , TN , USA (Postal Code: 37205). Swimmers like you reported 25 meters x 42 feet, 6 lanes, Outdoors. Unfortunately we do not have the email address of this Swimming Pool, but we can give you the phone number.